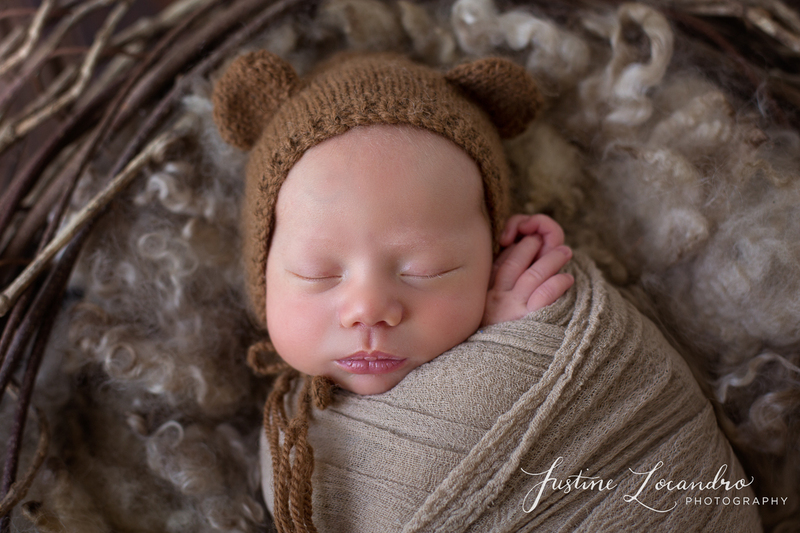 As a photographer, I love nothing more than customising your newborn session. It keeps the variety of images I am producing fresh and interesting, but more importantly, it provides your family with images that have meaning and it results in producing images that will suit your style and compliment the colours of your house. Ultimately, it provides you with photographs and memories that will bring you joy when you see them hanging on the walls of your home and that you can continue to love as the years roll on. 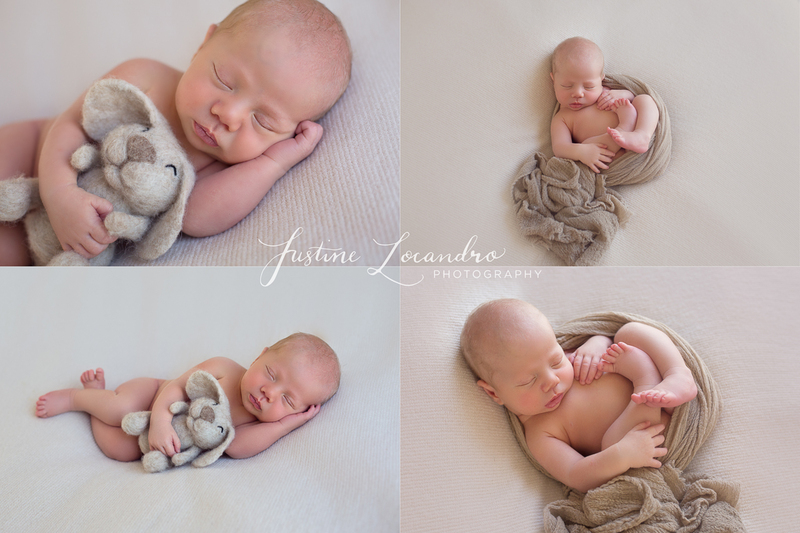 There are lots of factors to consider when choosing a newborn photographer. I always recommend finding someone who has a photography style that you love. However, it is also important that your photographer can be versatile. They need to be able to capture the type of images that you are drawn to and that will compliment your home. 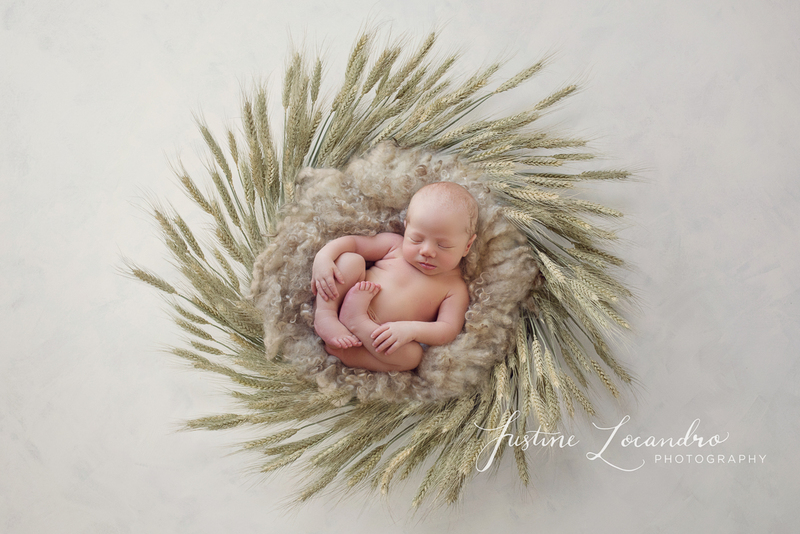 Customising your newborn session to be able to work with particular colour palettes or themes will help achieve this. The brief for Shaun’s session was earthy browns and neutral colours, with a rural theme. Getting to know a bit about my clients and building a connection is something I absolutely love about being a photographer. 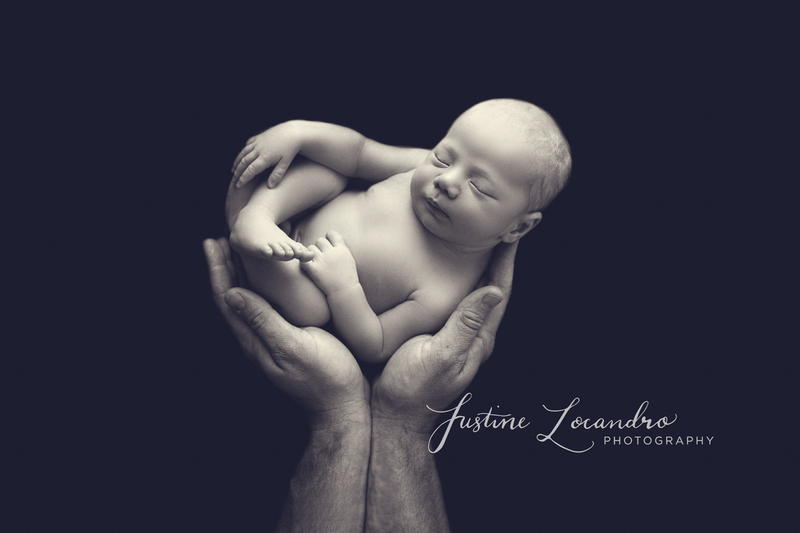 Learning about your family is the first step to planning and customising your newborn session. I first spoke to Shaun’s mum, Bree, while she was still pregnant. They are a Ballarat family who love being outdoors and living a country lifestyle. Bree told me how when big brother Jake was informed that he was going to be taking on big brother duties, he was quick to tell people excitedly that his mum was ‘growing rabbits’ in her belly. She would later find out that her due date was Easter Sunday! Therefore, it was little wonder that baby-to-be quickly adopted the cute nick-name ‘rabbit’. Coming from a graphic design background, Bree had a very clear idea of the style of photography she wanted for Shaun’s newborn session. 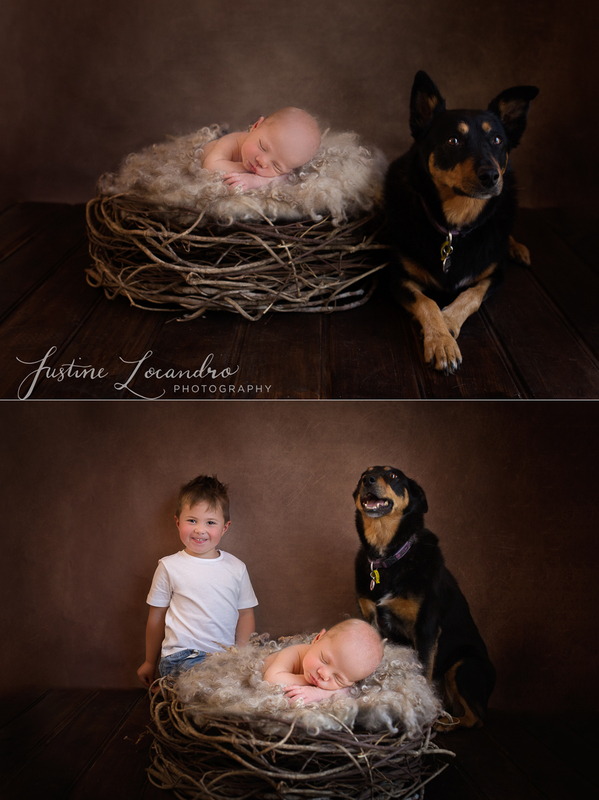 It was important for the session to include sibling images, a toy rabbit that was a gift from big brother Jake, their beloved family Kelpie Sasha (a first for me! 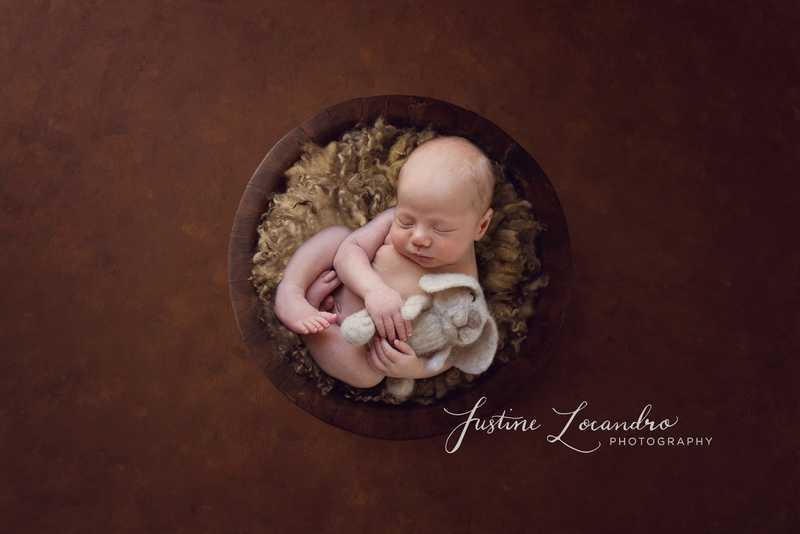 ), a variation of ‘rabbit’ themed images and for the session to have an overall country/outdoors feel to it, and using a brown and neutral colour palette. It was a lot to work with, but I love the final images that resulted from the session!! The family dog “Sasha” is a much loved member of the family. It was important to mum and dad to have her along and involved in the shoot! These are both composite images. Sasha was sitting next to an empty basket which ensured baby Shaun was safe at all times. One of the sibling setups featuring big brother Jake! Baby Shaun tucked up tight and cuddled up next to a soft rabbit. 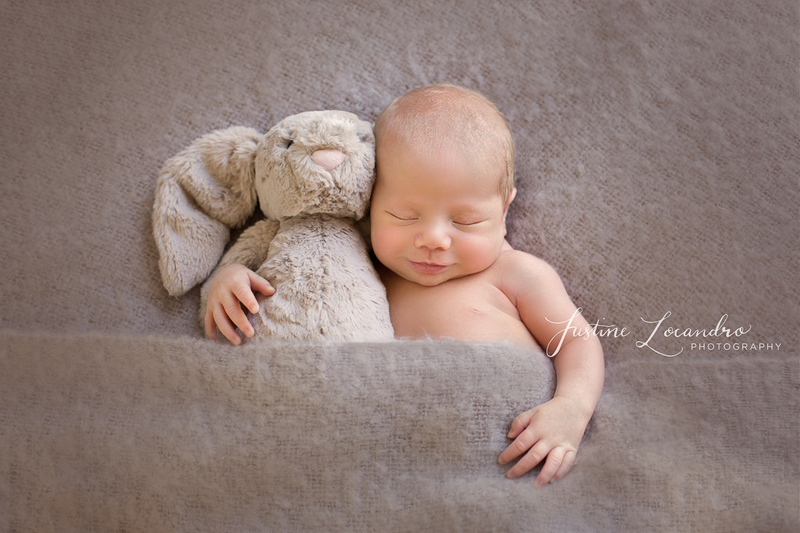 This rabbit was a gift from big brother Jake so we made sure it was used in one of the images. This is an image that Bree had seen on my page previously and wanted replicated for baby Shaun. The earthy browns toned well into their overall gallery and little bear bonnet provided some variation. 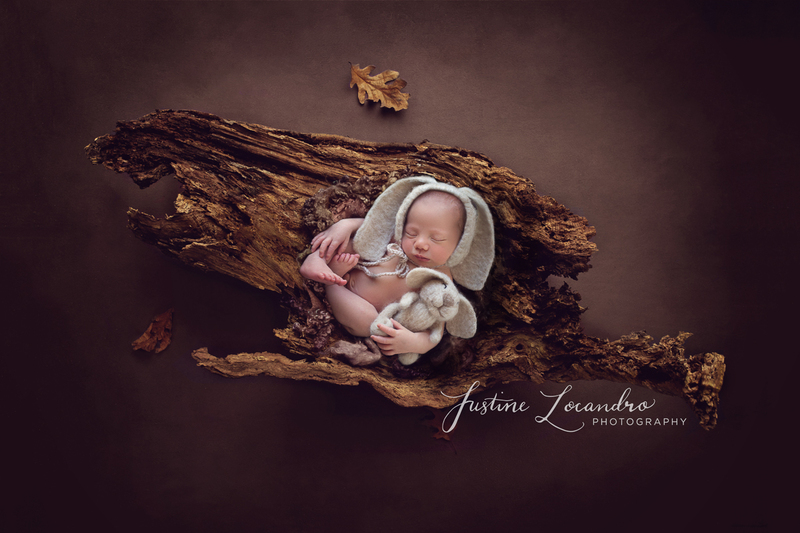 If you would like any extra information about customising your newborn session, please feel free to contact me at https://www.justinelocandro.com/contact-me/ . You can also take a look at my frequently asked questions page https://www.justinelocandro.com/faq/ . I’d love the opportunity to discuss any answer any questions you might have. 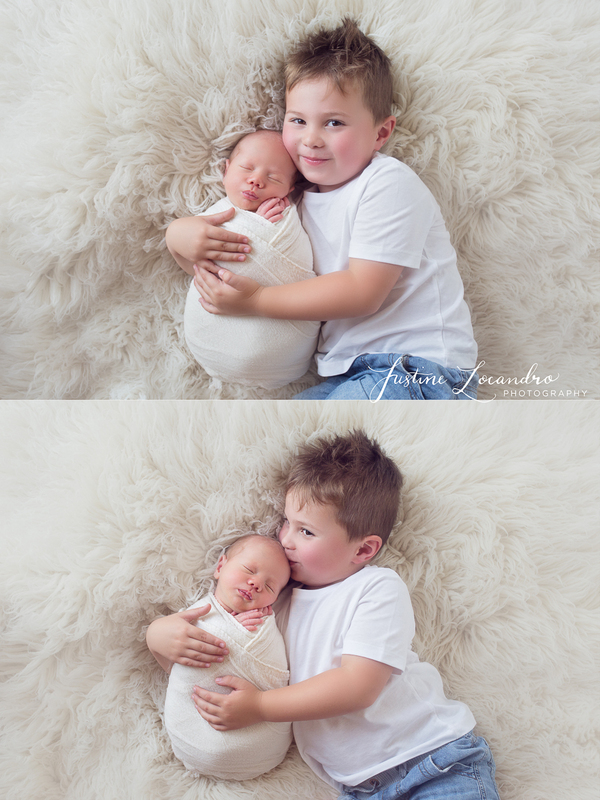 I offer a pre-session consultation via email or phone to ensure we are getting the images you love and so we can work towards customising your newborn session. Clients are also welcome to meet me at my Ballarat based studio to take a look around and have a chat!